Until recently, when it came to China and state-of-the-art chemical manufacturing technologies, it was a one-way street: Chinese firms licensed processes from the West or Japan. Or judging from lawsuits over the past 20 years, Chinese companies just used Western know-how. Going the other way, China had almost nothing interesting to offer. This axiom of the chemical industry is rapidly changing as foreign chemical companies start to see China as a source of manufacturing expertise. 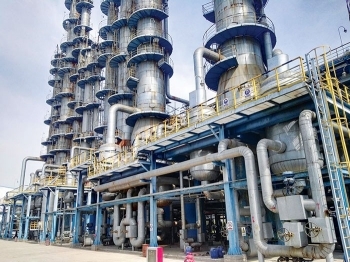 Earlier this year, Shanxi Lu’an Group demonstrated the viability of a process for converting carbon dioxide and methane into synthesis gas at its plant in northern China. The process was developed by Shanghai Advanced Research Institute (SARI) with the support of funds provided by Shell. The oil major has priority in buying the international rights to the process. Other Western companies also see China as a potential source of process technology. Evonik Industries announced in August that it and the oil and chemical giant Sinopec will set up a process development lab in Beijing for organic solvent nanofiltration technology. At the time, Evonik stated that new technologies developed at the lab will be marketed to chemical, food, and drug producers in Asia. For the past two decades, China has invested heavily in R&D. The research was initially aimed at developing new products, but process development has more recently turned into a major focus. At the moment, beefed-up budgets for process research are aimed at solving uniquely Chinese challenges, such as using coal as a chemical feedstock. But as China’s process design expertise advances, processes developed in the country will increasingly find users abroad. 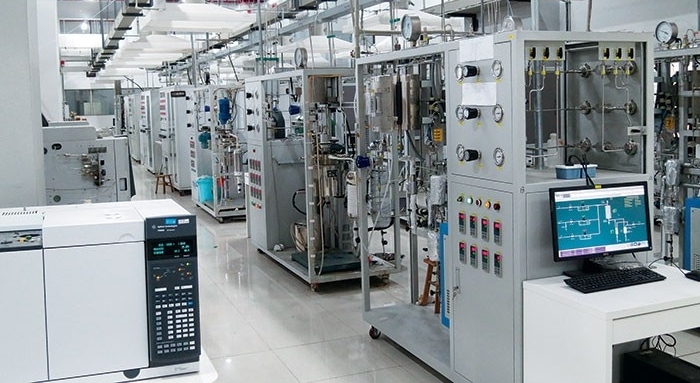 "The quality of processes developed in China is improving," confirms Yunjie Ding, a professor specializing in industrial catalysis at Dalian Institute of Chemical Physics (DICP). Over the past decade, Ding and his group have developed several processes that have been commercially implemented at chemical plants in China. "It’s a cycle that keeps building up,” Ding says. “When we get positive results, we get more funding, which makes it more likely that we will be successful again." R&D efforts to develop products and processes adapted to local needs and situations are the “next logical step” for China, says Kenneth M. Stern, a New York City-based senior managing director at FTI Consulting who has spent most of his career in the chemical industry. "China is already the largest market for chemicals in the world, and demand growth remains robust," Stern says. "This has led to the rapid growth of Chinese chemical production as well as chemical research, which is often necessary for adapting products to local needs." At DICP, several of the processes that Ding and his team of 30 scientists and students researched in recent years relate to the use of coal as a starting material. China has rich coal deposits but relatively small oil reserves. Ding’s team refined technologies for producing ethanol from acetic acid, methanol, and synthesis gas, all of which can be derived from coal. With the world’s largest fleet of motor vehicles, China is a huge potential market for fuel ethanol. Some of the processes developed at DICP are superior to what’s available from Western providers, Ding claims. For instance, his process for the hydrogenation of acetic acid to make low-cost ethanol yields more than a competing technology from the U.S. firm Celanese does, he says. DICP tested the technology in a 30,000-metric-ton-per-year plant last year. "We benchmarked against the Celanese process,” he says. The DICP technology is “superior to Celanese’s due to our process using a zeolite membrane for dewatering." At SARI, the process for turning CO2 into syngas is a notable success for an institute that was formed only five years ago. The technology was developed by SARI’s Laboratory of Low-Carbon Conversion Science & Engineering, a so-called Key Laboratory under the Chinese Academy of Sciences. Home to 200 staff researchers and graduate students, the lab is generously funded by the Chinese government, the City of Shanghai, and Chinese and international companies. Shell provided a total of $10 million to SARI between 2013 and 2017 and recently renewed the agreement, says Yuhan Sun, the lab’s founding director. The low-carbon lab is one of a handful of institutes and universities worldwide—others include Imperial College London and Massachusetts Institute of Technology—to receive financial support from Shell, he notes. The original mission of Sun’s low-carbon lab was “to reduce the carbon footprint of high-carbon fossil fuels” such as coal. Central government planners have assigned a key role to coal in China’s mix of energy sources, he says. Wind and solar energy are appropriate for parts of China that are not densely populated. Nuclear energy, hydroelectricity, natural gas, and imported crude oil make sense in other regions. But in the northern hinterland, in areas like Shanxi, Henan, and Inner Mongolia where China’s coal mines are located, companies are instead continuing to pursue coal in ways that limit its environmental impact, Sun explains. The CO2-to-syngas process will be useful at coal-to-chemical and coal-to-liquid-fuel plants in China’s north, Sun says. It can also be applied to other sources of CO2, including waste gas from steel mills and coke ovens. An important opportunity, notable for its possible use outside China, is integrating the process into facilities processing CO2-rich natural gas, which is present offshore in the South China Sea and in other parts of the world. In addition to Shell, state-owned firms such as China National Offshore Oil Corp. have expressed interest in SARI’s technology, Sun says. New processes are being developed not only at government-funded institutes but also at private Chinese companies. Wison Engineering, one of China’s largest providers of engineering, design, and construction services to the chemical and oil refining sectors, operates a research facility at its Shanghai headquarters that employs 47 people. The facility is also home to a lab run jointly by Wison and the Danish catalyst producer Haldor Topsoe to develop catalysts for the Chinese market. Wison’s research efforts have yielded tangible results and attracted the attention of foreign firms, Li says. Licensing could become a noticeable source of profits for the company in the coming years, he adds. So far, three customers use a coal gasification process that Wison codeveloped in partnership with Shell in China. Earlier this year, Honeywell’s UOP division signed a deal with Wison to market the two companies’ services outside China. The two firms will promote a package combining UOP’s methanol-to-olefins process, Wison’s design and construction services, and Wison’s olefins separation technology. In China, Wison has already licensed the separation process to 11 customers. At SARI, Sun reckons that it is the dawn of China’s emergence as a supplier of chemical manufacturing technologies. His lab is only now setting up a company that will license the processes it develops. He expects that process innovation will flourish in China, both because of increased government funding and because researchers stand to benefit financially from their discoveries.